Continuing medical education (CME) is one of the most important tools in a community oncologist’s arsenal for staying updated on the most recent medical developments. However, for CME to be effective, it must target the physician’s educational needs, which often can be difficult to identify and anticipate. 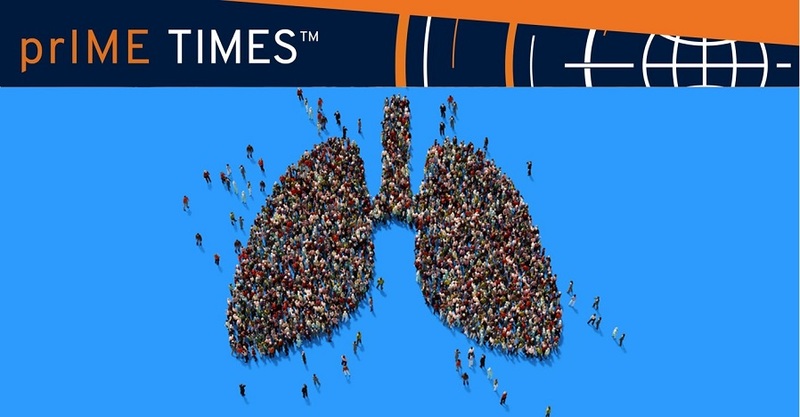 Recently, prIME Oncology completed a series of 50 live meetings on treatment of EGFR-mutated non-small cell lung cancer (NSCLC) in community oncology practices around the United States. An analysis of learner data from 668 participants in these meetings, which provides a framework to identify topics for future educational meetings, was recently completed. The community oncologists who participated in this meeting series demonstrated low levels of baseline knowledge and competence in several areas related to EGFR testing and treatment, which serves to identify areas for future educational activities. In particular, community oncologists struggle with molecular testing strategies, with only 22% correctly identifying which patients should receive molecular testing on the basis of current guidelines. Furthermore, use of next-generation sequencing (NGS) is extremely low in the community setting, with only 14% of participants selecting this as an option for a newly diagnosed patient. Treatment selection also remains a challenge, particularly in later lines of therapy. While 64% of participants selected the correct first-line therapy for an EGFR-mutated patient at baseline, only 38% selected the correct treatment for a patient progressing on first-line EGFR inhibitor therapy. Participation in the activity improved community oncologists’ knowledge and comprehension significantly in several key areas. There was a 73% increase in use of molecular testing at disease progression and more community oncologists were able to select appropriate second-line therapies for patients with EGFR mutations. Importantly 66% of participants indicated that they intended to make changes to their clinical practice on the basis of what they learned during the activity. There was some confusion among participants regarding optimal first-line treatment, likely due to the recent approval of osimertinib as a first-line therapy, which occurred during the course of this meeting. Given the rate at which new drug approvals occur in this setting, further education will be needed. During the meeting series, participants were able to ask questions to engage with the presenter and direct meeting content. The two areas of greatest interest among participants were molecular testing and first-line therapy for patients with EGFR mutations, both of which represented 33% of questions asked. Acquired resistance to EGFR inhibitor therapy was also a popular topic, with 14% of participants asking related questions. Unsurprisingly, these were all areas where the learners showed low baseline competence and were identified as areas for future educational activities. For CME to continue to remain relevant, it must target the evolving needs of the individual learner and be tailored for the intended audience. As this analysis demonstrates, there is significant need for further education regarding management of patients with EGFR-mutated NSCLC among community oncologists. Particular topics for future education include guidelines regarding molecular testing at diagnosis, the role of NGS for mutation testing in NSCLC, and selection of appropriate EGFR-targeted therapy in the first-line and second-line settings. Additionally, it appears that educational strategies focused on patient case presentations and discussions of treatment challenges with experts and colleagues are most effective at eliciting change among community oncologists. These observations can provide guidance for future educational design in the community setting. Click here to get the poster on molecular testing and treatment of EGFR-mutated NSCLC.